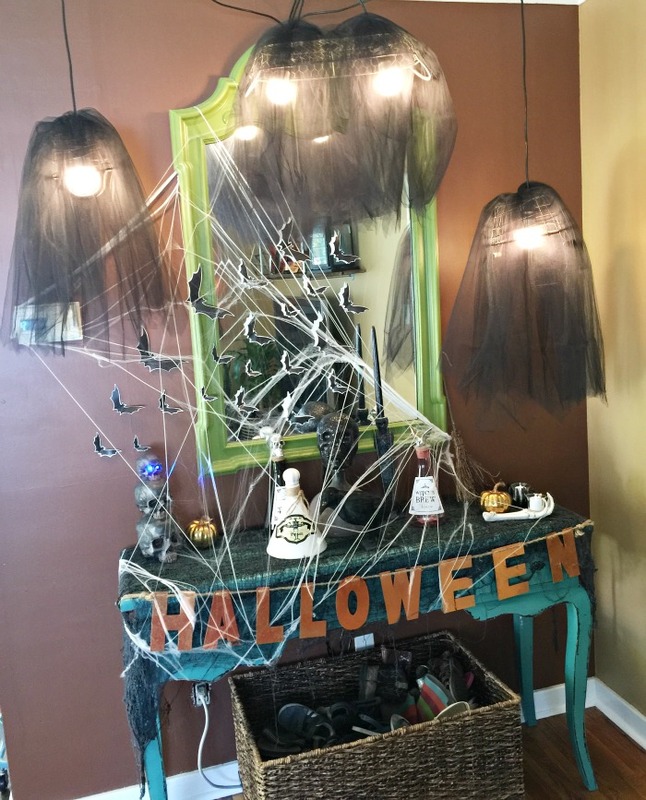 Ridiculously easy DIY Halloween lights! If you’ve followed me longer than a year or so, you already know that I love to decorate and I love myself a good old DIY! You should scroll through some of my old stuff! Oh how I miss owning a home. 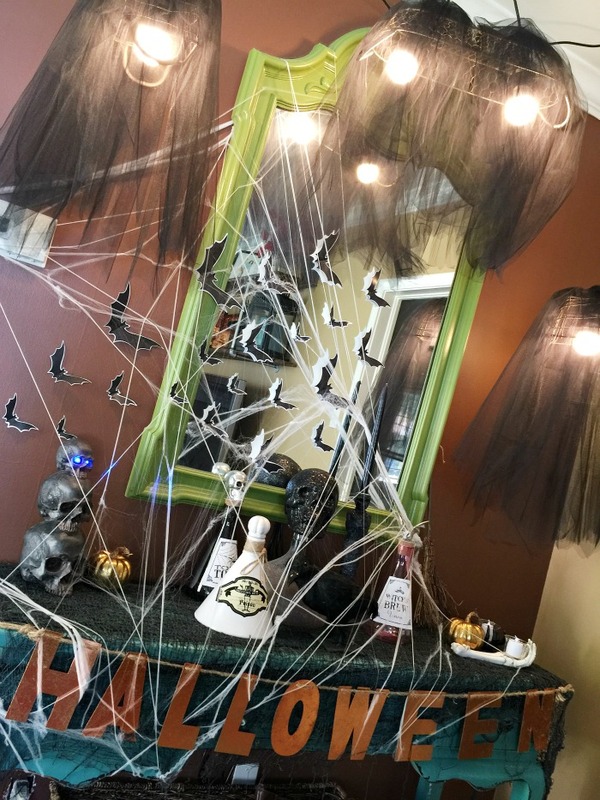 Okay, with that being said…I’ve teamed up with TAIPAN TRADING to give you a fun spooky Halloween light tutorial! SO easy and really adorable too! 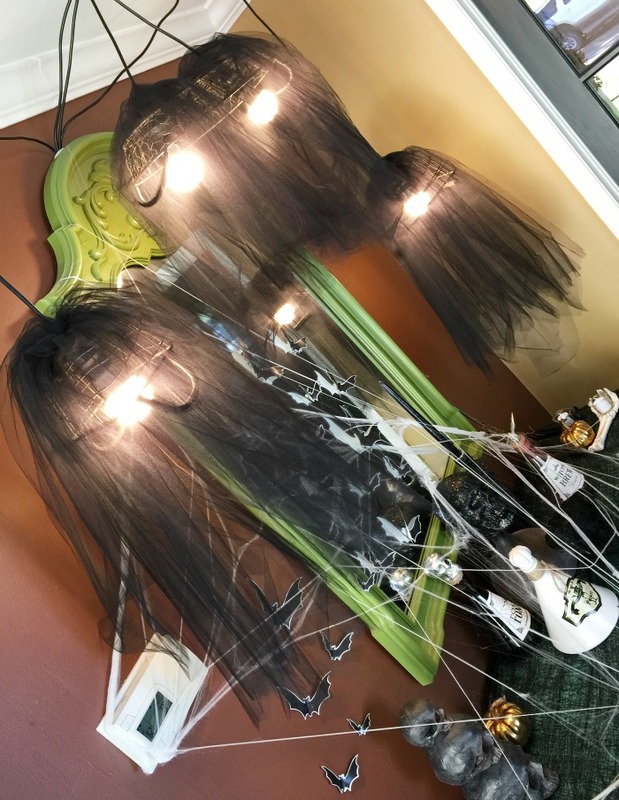 So,if you can’t figure it out from the pictures, you literally just thread the light bulb cord through the basket and then thread the tulle through the basket as well! 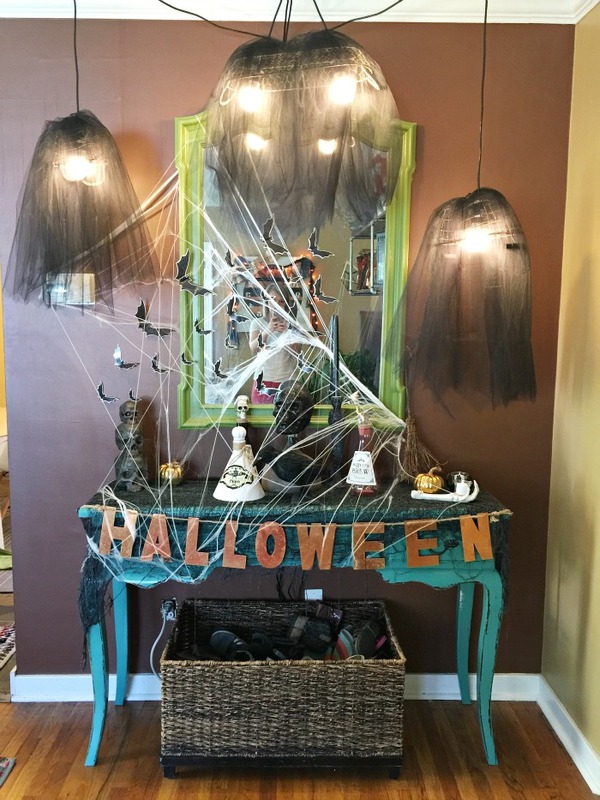 Enlist the husband to help hang and you’ve got yourself an EASY and AFFORDABLE new Halloween decoration that looks soooo legit! I think the shoe basket really adds the perfect touch! HA! 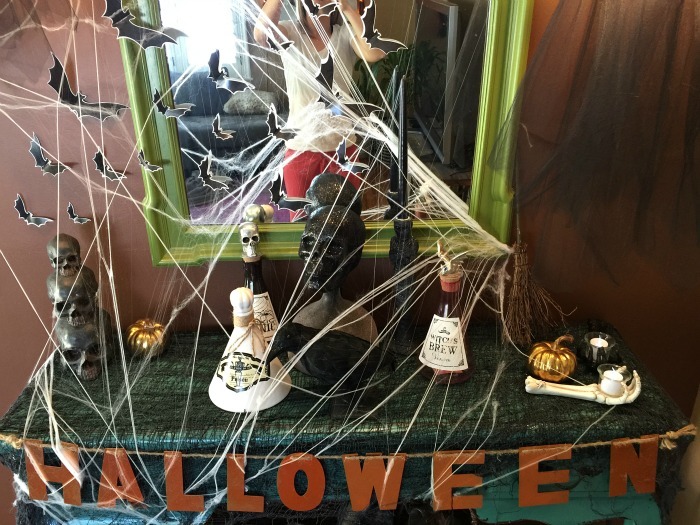 SPEAKING OF SOMETHING SPOOKY…have you been to the NIGHTMARE ON 13TH STREET yet? It’s sooo fun and such a great date night! We went a few days ago and it was such a blast! If I wasn’t such a baby I would have kept my eyes open more and looked at the amazing decorations! It’s crazy how intense the production is!